Walking into the first Thor movie back in 2011, I confess that I had no real knowledge of the character either from Nordic mythology nor from the pages of Marvel comics. This was all new to me. Walking out of the movie 115 minutes later I was convinced that the screenwriters had even less of an understanding of this character than I did. I realize, full-well, that this is a generally beloved super-hero movie, but for me there is a connective tissue and a sense or orientation that is missing. 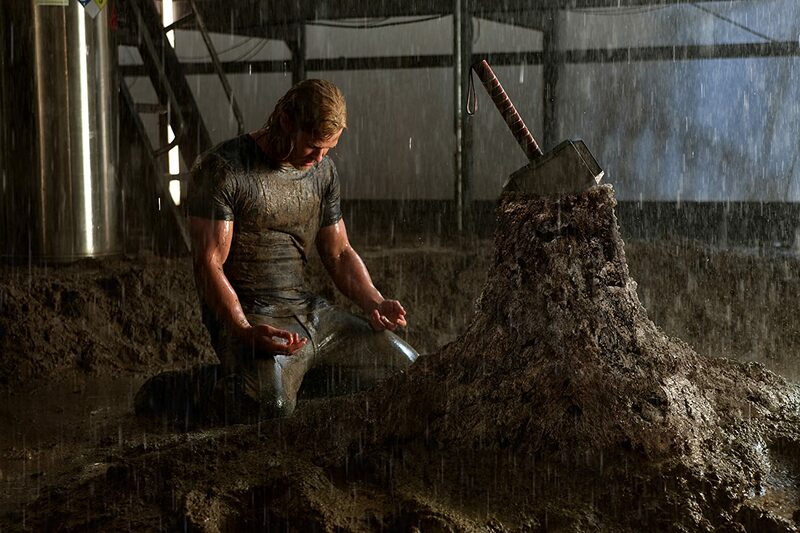 There is a badly drawn family drama in which Thor (Chris Hemsworth) and his brother Loki (Tom Hiddleston) fight for the affections of their father Odin (Anthony Hopkins), but it’s so badly constructed that it feels like community theater. And I’m afraid the rest of the movie isn’t any better. This is a badly confused movie that doesn’t understand its characters, their relation to one another nor the settings that they are suppose to be in. Half of the movie takes place in the heavenly realms of Asgard, which looks as if it bears a population of about 30. The other half takes place on Earth where Thor is dropped into our world so we can get a half-constructed retread of Crocodile Dundee. But why? Why is this movie so bland and lifeless. It has the sure-handed touch of director Kenneth Branagh whose experience with Shakespeare should have brought the movie a sense of drama. Were his hands tied? Why is the movie allowed to ride such an unsure and confusing narrative. I’m not convinced that anyone knew how to write this character? Nor could they get their hands around anything dramatic that we could get our feet in.